This book includes recipes from earlier Penfield publications now out of print. California winery favorites include baked lasagne Bolognese style, steamed mussels, and braised beef short ribs in Zinfandel. Other recipes in the book include lentil and Italian sausage soup, fennel salad, pizza in the rustic style, Italian pepper steak, large tortellini, eggplant patties, and Gino's tiramisu. 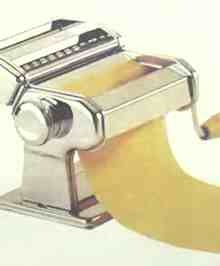 Book also gives information on pasta, Italian cheeses, olive oil, and wines. Spiral bound, 170 pages. 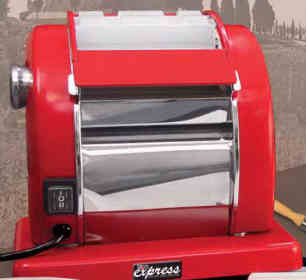 WATCH THE ELECTRIC PASTA MAKER VIDEO!! 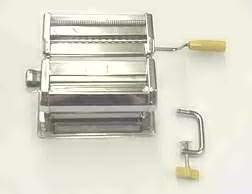 The pasta presto weigh's 13 lbs, has a roller width of 5 3/4" and the machine dimensions are 8.25"X10.5"x10.5". Cuts pasta at 50mm, for a really wide noodle. Same as above but for angelhair noodles. Finest noodles possible. Makes a 5/16" noodle. What is normally called a "wide" noodle. 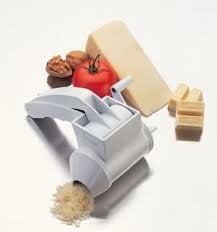 Makes your pasta in the shape of Ravioli. Cuts pasta in the shape of a half moon. 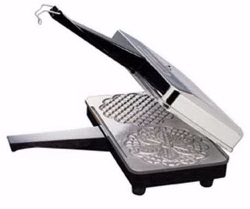 Grate your cheese with ease. 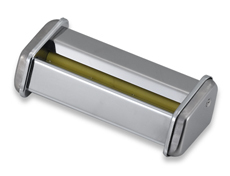 By far, our most popular model with pull/pull easy sliding action. This item is great for homemade spaetzle. Want to make homemade Tomato Sauce, Applesauce or Baby Food to eliminate additives and preservatives, but hate the thought of all that messy peeling and seeding? This tomato/vegetable strainer will do it for you! A must for home canners and gardeners! 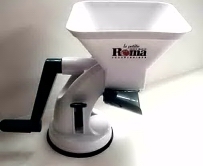 The new Roma features a 25% bigger hopper than other tomato strainers and has a new heavy-duty suction-cup base. No more peeling or coring! 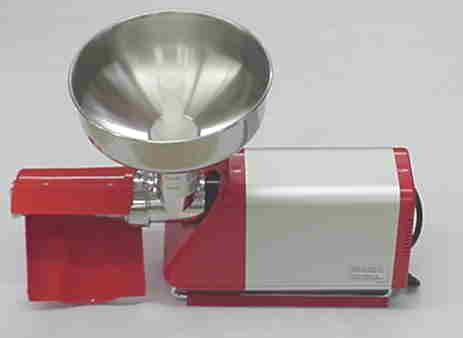 Simply load the hopper and turn the handle to create fresh sauces and purees from just about any fruit or vegetable. Enjoy healthy, nutritious, all-natural, preservative-free foods. Make sauces, soups, jams, baby foods, pie fillings, juices, and much more! 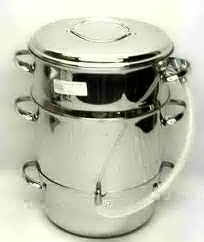 With the Roma Food Strainer & Sauce Maker you can quickly and easily make homemade sauces, jams, jellies, wines, juices, and even purees for baby food. 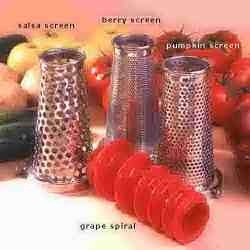 Includes berry screen, pumpkin screen, salsa screen, and grape spiral. 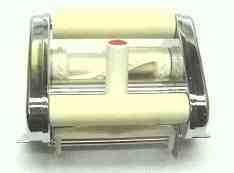 Dual purpose electric motor for pasta and food strainer machines.Converts your manual appliance to electric use. 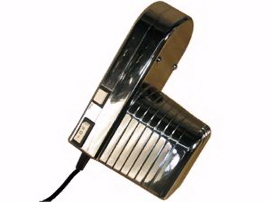 Includes mounting bracket and easy-to-follow instruction booklet. Frees up one hand for efficency. 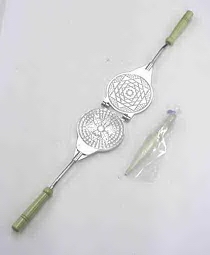 This fabulous sauce maker and food strainer can quickly & easily puree fruits & vegetables. You can process up to 2 lbs of tomatoes per minute with this sauce maker and food strainer. The 67-1001-W La Petite sauce maker and food strainer has an easy grip suction cup mount for ease of use. Why work so hard getting pure juice from your berries & fruit? Just put water in the bottom pan (which doubles as a roaster) and fruit in the top pan and let her boil! Periodically remove juice with the hose. Couldn't be easier! Made to the highest standards in Finland. Big 255 watt motor. Has stainless steel tray and screen. Will process up to 300 lbs of tomato sauce an hour - removing the seeds and the skin! Make your own hot sauce with this easy how to kit! 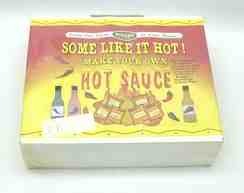 Kit contains: 6 spices, 3 bottles, pepper, and handling safety tips. Prepare su salsa picante con esta receta. Kit incluye los seis ingredientes, un envse con tapa y una guilla de manejo y cuidado. Bake two 5" Italian pizzelle cookies every 30 seconds - it's easy with this great non-stick baker. Make traditional pizzelle cookies for any occasion. 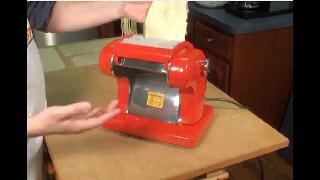 Quick and easy baker makes two cookies every thirty seconds. Cookies are five inches in diameter. Bakes two Italian pizzelle cookies every 30 seconds. Includes a recipe for the pizzelle. Cuts, seals & creates a decorative edge. 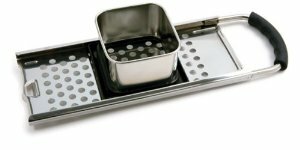 Great for making ravioli, pies, turnovers, hors d'oeuvres, empanaditas, finger sandwiches & More!